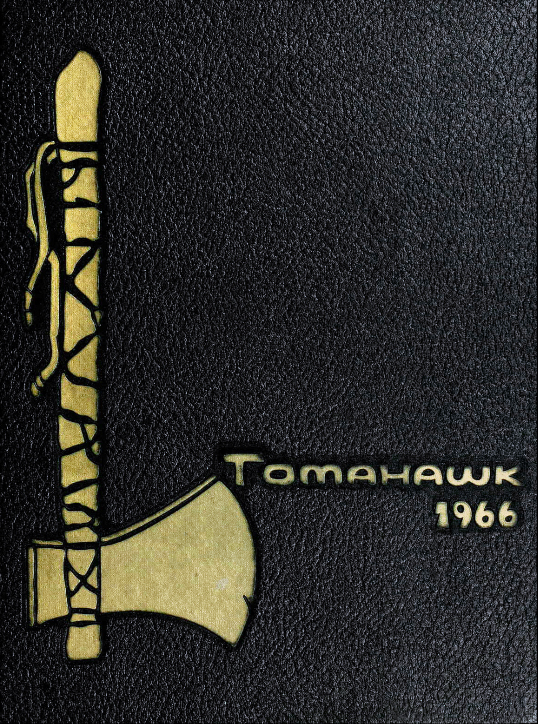 Double-truck photograph on both the inside front cover and inside back cover of the 1966 Tomahawk (William S. Hart High School yearbook) showing the transition from maroon and gray uniforms to red and white. The original Hart High ASB picked the Indian as their mascot and chose maroon and gray as their school colors. There are differing stories as to why they changed 20 years later (cheerleaders didn't like the way the colors faded in the wash; a school administrator got a deal on red and white uniforms; maybe both). But change they did — not to red, white and black, but to red and white. 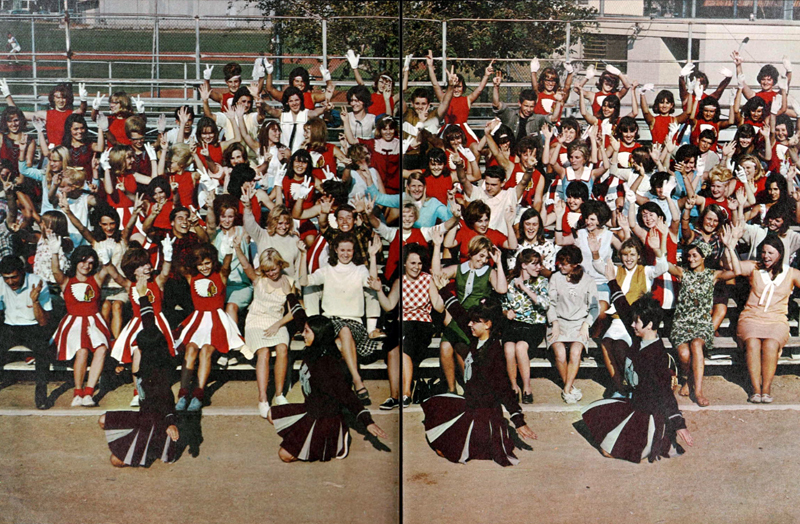 Here, in a photo from the 1966 Tomahawk, which was published at the end of the 1965-1966 school year (the photo was probably shot in the spring of 1966), we see the transition. Cheerleaders in front are wearing maroon and gray, while others (drill team members?) are wearing red and white.